MCLAB's Non-Amplification DNA Library Construction Kit is a highly efficient library construction kit for preparing paired-end or multiplexed DNA libraries for high-throughput sequencing. 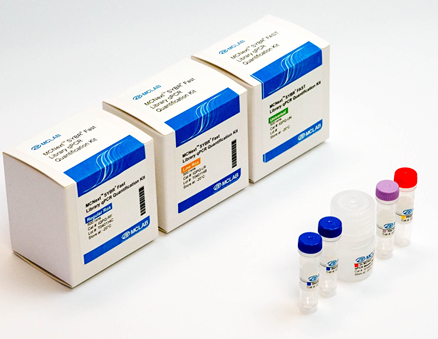 The MCLAB's Non-Amplification DNA Library Construction Kit is a highly efficient library construction kit for preparing paired-end or multiplexed DNA libraries for high-throughput sequencing. This kit can directly construct DNA libraries for next-generation sequencing analysis using Illumina® GAIIxTM, HiSeqTM 2000 and MiSeq® sequencing platforms. Preserving the complexity of sequencing libraries, the protocol is quicker than the standard method and provides even coverage data with less duplicate reads and PCR bias for DNA sequencing. The superior function of the MCLAB’s Non-Amplification DNA Library Construction Kit depends on our proprietary ligation system. Using a non-amplification method of library preparation with custom adapters, unamplified, ligated DNA samples can hybridize directly to the oligonucleotides on the flow cell surface. The cluster amplification step (rather than using PCR), enriches the flow cell for fully ligated template strands, reducing the incidence of duplicate sequences, improving read mapping and single nucleotide polymorphism calling. Paired end libraries are compatible with both paired and single-end flow cells. 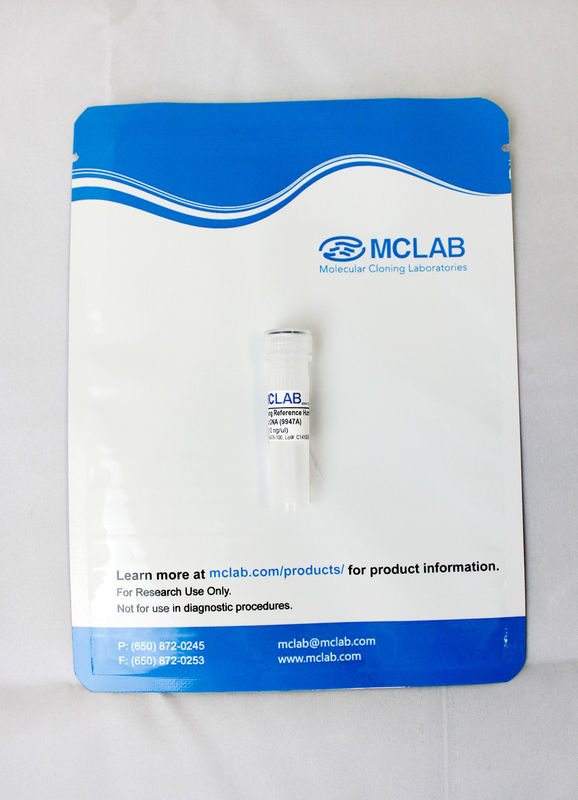 The reagents supplied in the MCLAB's Non-Amplification DNA Library Construction Kit are sufficient to prepare DNA libraries for 20 or 100 samples for Illumina®-compatible next-generation sequencing.